Commercial Vehicle Wraps Drive Traffic Your Way—Every Day! Some business owners think they can’t afford to wrap their vehicles, but the smart ones understand that they can’t afford not to. Here’s why: These mobile billboards will do the heavy lifting in your business’s marketing efforts. Fleet wraps boost name recognition 15 times greater than any other form of advertising. They build brand awareness, keeping your name top of mind for existing—and potential—customers. They help convert leads into loyal customers, paying for themselves in no time at all. At TradeWraps, we specialize in commercial vehicle wraps. Whether you need to wrap one vehicle or an entire fleet, you’ll receive the same high-octane service from the green flag to the finish line at our vehicle wrapping company. 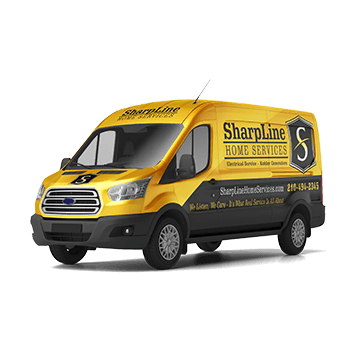 We have experience with many different makes and models of commercial vehicles and will apply your wrap consistently to every truck, van or sedan in your fleet. Our products are top of the line and our process is seamless. Material: We insist on premium quality vinyl wrap films with matching laminates for ultimate protection and maximum lifespan. Our wraps are easy to remove and just as easy to repair. Design: If you already have a design for your wrap, great! We will get started right away to bring that picture to life! If you need professional help to create compelling artwork, we’ve got you covered. We have vehicle wrap artists on standby to turn your vision into reality. All designs are customized to your satisfaction. We will create vehicle graphics that are clean, eye-catching, effective and affordable. Printing: The quality of our superior latex print technologies is so stunning—both up close and from a distance—that the finished product will blow away you and your customers. Installation: We tackle this process with painstaking precision to make sure every detail is just right. But we also work quickly and efficiently to get your vehicles on the road—and generating revenue—as quickly as possible. 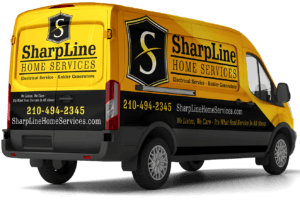 For most jobs, that’s usually just one or two business days after we begin the installation process for the truck wrapping, commercial car wrap or wrap for your work van. For local clients, the install takes place in our climate-controlled, state-of-the-art facility in Manassas, VA. If you don’t live in the area, we’ll gladly come to you. All we need is an indoor, temperature-controlled space with good lighting. Our installers, including several with the coveted 3M Preferred Installer certification, are skilled, experienced and passionate about creating a masterpiece that not only meets—but exceeds—your expectations. Learn more about our process and how you can help. Brand Awareness: Depending on traffic and location, just one of your vehicles has the potential to reach tens of thousands of people each day. And this reach doesn’t occur only when you’re driving around town. Your wrap can be just as effective—sometimes even more so—when it’s parked on a busy street or outside a customer’s home or business. Thanks to your fleet wrap, your brand awareness grows … and grows. And your phone rings … and rings—because people remember your name when your commercial wrap is done right. Trust: Truck wrapping, wraps for work vans and commercial car wraps tell your customers that you mean business, that you’re here to stay. Commercial vehicle wraps create and build trust. Experience: Well-branded truck wrapping sends the message that you know what you’re doing—that you have the skills and experience that make it worth hiring you. Ready to start your engine? Call TradeWraps at 703.239.4949 or contact us on the web.